There are a number of things that come to mind when you think of a brand. These things may be its logo, an image, or even a certain colour scheme. But, what about your brand voice? These days it’s not just about what you say, but how you sound when you say it. Enter, voice technology. There is a new way to search the internet and brands know that it all has to do with the human voice. Some are calling it the next era in computing. So, what do you need to know about voice technology? Google is now selecting search results based on voice recognition. 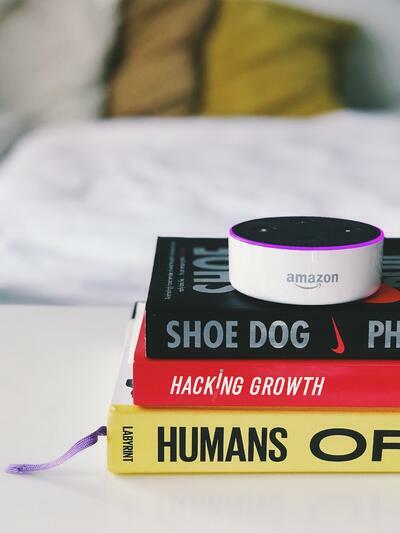 Fueled by personal voice assistants such as Siri, Cortana, Google Home, Amazon Echo, and Apple HomePod, voice search is changing SEO as we know it. According to BrightEdge, 62% of marketers are still not prepared for the oncoming era of voice technology. Furthermore, with Google recently unveiling Google Assistant, a program that will be able to make phone calls in the future for you, voice is changing everything. Ordering online can be time-consuming; picking up the phone and making a call can be a distraction. That’s why Domino’s has introduced “The Dru Assist,” which is a program developed by speech recognition firm Nuance, that recognises your speech and allows you to efficiently place an order. Domino’s isn’t the only brand using voice recognition, though. It’s now the trend for brands to link up with either Amazon, Google, or Siri, which brings us to what brand number two is doing. Despite no longer being in Southeast Asia, booking a cab just got a whole lot easier with Uber. Using a Siri-like system, Uber is offering riders an easier way to book a ride, via Alexa, its new virtual receptionist. In addition, you can also book Uber with Google Home. Why the change? Just look at the data: According to Google’s statistics, 55% of teens and 40% of adults use voice search daily, so it’s safe to say it’s the future of search and conversion. In collaboration with Amazon’s Alexa, Whirlpool is creating a system by which all of its appliances will be controlled by voice commands. This will be available for tasks such as turning an appliance on and off, starting a load of laundry, or changing the cooking mode on an oven. Talk about revolutionizing the way we do chores. PayPal is now using voice control, meaning customers can complete transactions with Siri. Requests can be as simple as, “send $30 to so-and-so.” Siri connects you to Paypal, brings up a transaction sheet and allows you to authorise the voice command. Partnering with Amazon’s Alexa, Patron Tequila has a cocktail recipe library featuring voice activation. This program can even order the exact ingredients you need to be delivered right to your door. In addition, a chatbot suggests cocktail ideas for consumers via Twitter and Facebook Messenger. Though most of the above brands are currently working with Google and Amazon, this is just the beginning of what’s to come. According to industry experts, Google Assistant and similar programs will be able to answer questions, even when those ‘questions veer off topic.’ It will also be able to schedule appointments, to help you when your child is sick, for example, or perhaps call a business to inquire about hours of operation. Already, SEO data has proven that voice search will be the most effective way to search for things. According to Backlinko, the “average voice search page loads in 4.6 seconds (52% faster than the average page)”. In addition, page loading times, as well as time to first byte, was significantly reduced during a voice search. The era of voice will affect all of us. What are you doing to incorporate voice search technology into your business?